My favorite phone released this year does not have the fastest performance, does not have the very best camera, and has worse than average battery lifetime. It also has a superfluous button to get a virtual assistant that I can’t reprogram to a lot more practical and has the worst name for a phone I have seen in years. It’s not a phone that I urge most folks should purchase. However, LG’s G7 ThinQ (I told you it has the most peculiar name) is my favorite phone at this time because it satisfies my particular group of wants and desires much better than anything else at present. I adore the iPhone X’s design because it is optimized for the way I use a phone, that consists of a good deal of vertical reading while on the move. Tall, skinny phones are the most appropriate for this. LG aped the iPhone’s top notch and 19.5:9 aspect ratio, providing the G7 a similarly tall and lanky appearance, but stretched the display measurements to a 6.1-inch diagonal, allowing for much more display real estate. At the same time, the G7 measures only 2.8 inches across, which enables me to reach across the screen easily with my head when I am using the phone in one hand. It’s narrower than any other Android phone using an iPhone X-like design I have used, such as the OnePlus 6 or more Huawei P20 Guru, nevertheless has a larger display than the Samsung S9 or iPhone X. The G7 does have more of a”chin” (the bezel at the base ) than the iPhone X, but that does not bother me, nor does the elite at the peak of the display. However, the display isn’t the one thing that keeps me coming back into the G7. It has a headphone jack, which does not matter to me to be used with headphones (I was on the radio headphone train long until the headphone jack started going the way of the buffalo). However does matter a lot when I get in my wife’s car and want to plug into the auxiliary input and charge my cell phone at the same time. Without having to deal with the car’s horrible Bluetooth setup. It has the loudest, the clearest speaker I have ever heard on the phone, which is great for when I am watching YouTube while sitting on my sofa, something that I do a good deal. It’s not a stereo installation like many other phones offer, and it is likely to block the speaker with your hand if you hold the phone incorrect. However, it’s so loudly and therefore clear that these items do not bother me. LG’s”Boombox” internal resonance chamber isn’t only a marketing gimmick, it makes the entire device pulsate when the volume is cranked and makes the output louder when the G7 is resting on a table. The G7 also has wireless charging, which I use every time I operate out of my desk at the office and on my nightstand each evening. Wireless charging isn’t as fast as wired charging, of course, (and the LG does not have Samsung’s better, faster wireless charging) but it’s very convenient and, whenever I use a phone that lacks it, I miss being able to simply drop my phone on a charging pad or stand when I get into my desk. It also helps me deal with the G7’s admittedly bad battery life, and this is far briefer than that I can access with many other phones. Like LG’s V30, the G7 also has the greatest haptic vibration feedback available from the Android globe. It’s not quite as good as Apple’s Taptic Engine from the iPhone, but it’s damn close and places any other Android phone to shame. The G7 is also great enough at the departments of performance, software, and camera to my own needs. I’d love for the camera to be faster (it’s one of the slowest contemporary cameras I have used) and I’d certainly love for far better battery life, but neither of these issues is so bad that I am forced to give up the other items that the G7 brings to the table. I have long hated LG’s software design, but after years of refinements, the G7’s interface has gotten to a place where it does not get in my way or flip my stomach with bad aesthetics. As it’s Android, I am also able to personalize it even to the point of bringing the iPhone X’s best-in-class gestural interface over to it. I, of course, have other complaints with the G7. However, these would apply to any phone I select up in 2018. I am paranoid that I’m likely to scratch the display, therefore for the very first time, I have set a screen protector on my phone. Before I purchased a G7 together with my money, I used our demonstration unit from LG to get a couple of months and sure enough scratched the display within this moment. There are scratches in my iPhone X display that I can’t unsee and drive me insane, or so the G7 is certainly not exceptional in this regard. History says the G7 will probably be forgotten and get few, rare updates on the software front. My Job Fi model is operating Android 8.0 using the June security patches, but who knows where it’s going to be a couple of months from now when Android 9.0 P officially drops. Google will certainly have a fresh Pixel lineup this fall, but they likely will not have space effective designs or wireless charging, and they certainly will not have a headphone jack. Samsung and LG both are predicted to have new models outside. However, they will be larger phones, and Apple’s following lineup of iPhones will not address any of my complaints with the recent iPhone X. 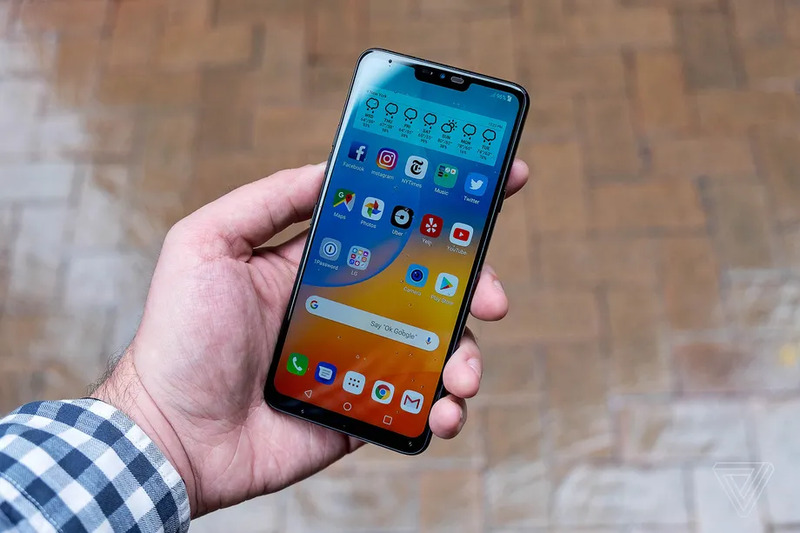 All of that is to say, because of my wants and demands, LG’s goofily named G7 ThinQ is the very best phone released this year. Who would have to thunk it?